The most significant factor in the firm’s progress has been the ability to manage the project construction on time with certain quality to meet entire satisfaction of the clients. Over the past more than two decades, AWAMCO has successfully completed about 268 projects to numerous clients. The methodology we adopt within the team members and externally with the clients / client’s representatives is always in a highly professional but in creative and simple manner to resolve problems. Abdul Wahed H.A Al-Moalim Co. (AWAMCO) has been engaged in the high quality contracting and trading services. Al-Moalim is in the field of construction, Renovation, Maintenance, Erection of Pre Engineered Steel buildings, Finishing works, Aluminum Cladding & glass panels, Water Proofing, Heat insulation, Concrete Repairing, Asphalting, Portable Making, Tents & Sunshades, Electrical and Mechanical Works. We also deal with Inter-national Contracting Companies. 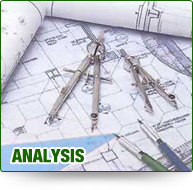 Thus we have capability to meet the need of our client to the best of their satisfaction. The Company has successfully completed and executed many project in Eastern, Central, South and Western Region of Kingdom of Saudi Arabia and developed its reputation as a responsible contractor who can complete the project in committed scheduled time with full quality assurance. 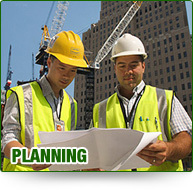 Construction maintenance & renovation services. Aluminum Cladding & Glass Panels. Pre Engineered Steel Building services. Water Proofing and Insulation Services. Fencing installation and General Works. Portable Offices & Room systems.